Ron Martinez has been teaching for 20 years, and for 12 of these he has taught heavy equipment diesel technology at Dennis Technical Education Center in Boise, Idaho, where 90% of his students go on to postsecondary education, industry, and/or the armed forces. Martinez grew up in the small town of Homedale, Idaho, where his family worked as migrant workers in the surrounding fields and communities. He said his parents strongly instilled him the values of hard work and integrity. Upon graduating high school, Martinez went onto study at Boise State University, where he earned a Basic HD Diesel Certificate. He then earned his Master Technician status in HD Diesel/Automotive from Automotive Service Excellence/National Automotive Technicians Education Foundation. Martinez utilizes a wide variety of modern teaching methods and resources to encourage his students and earn a 90% completion rate. In addition to their regular lab work, students are required to research the mission statements and goals of future industry employers and the opportunities they offer. Extensive coursework in developing cover letters and resumes are required of all students. SkillsUSA representatives and guest speakers from numerous companies are invited to speak candidly with students and bring their worlds into the classroom. Students are required to develop their own goals for transition from Martinez’s program to their post-graduation steps to work, college or the military. 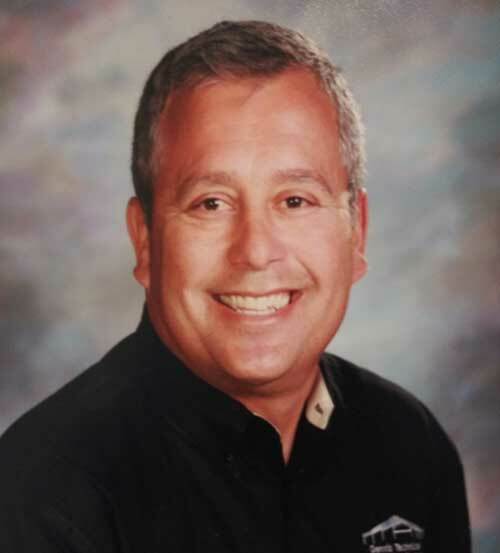 With more than 2,700 hours of industry certificate training, Martinez is a master teacher in Idaho, and writes curriculum for the industry and the State of Idaho Professional Technical Education Department. He maintains a diverse Advisory Board filled with over 20 industry, academic, and community partners. Martinez’ success in developing students who are sought after in the HD Diesel industry has been widely recognized across the state — from the Governor of Idaho’s office to the Boise State University Football Program. He gets great joy hearing from alumni and parents on their latest successes and life developments, as well from companies seeking advice on their next hires. His students have graduated with more than $120,000 in tools and scholarships, and Martinez has led his students to top honors in the state’s SkillsUSA auto skills competition.